One unique feature of Firefox Mobile is extensions. Extensions allow users to add in features that didn't originally come with the browser. These add-ons provide an array of features, including improvement to privacy and security. There are a number of steps you can take to improve privacy within the browser without using extensions. We actually did a whole article detailing the modifications you can make within the app's settings to shore up security — see the link below to check it out. However, it is only with extensions that you really upgrade your defenses, and the four we'll highlight below should make a huge difference. If you've never added an extension to Firefox Mobile before, we recommend reading the link below, which breaks down the process of installing your first add-ons. Once you review the article, head over to the next section for our first recommendation. This extension is the result of a collaboration between the Electronic Frontier Foundation (EFF) and the Tor Project. While many websites have switched to HTTPS (a more secure way to browse websites), they tend to not completely make the transition. Instead of the entire website using encrypted HTTPS links, some default to the unencrypted HTTP or include links to HTTP pages. With HTTPS Everywhere, all these links will utilize the encrypted HTTPS so that no matter where you travel within a site, your data will be protected. One limitation with HTTPS Everywhere is that it requires the website to already employs HTTPS. Sites that haven't updated to the more secure protocol will not benefit from this extensions at all. However, many popular websites already have made the switch, and therefore, this extension protects users from web developers' poor (or lazy) implementations. 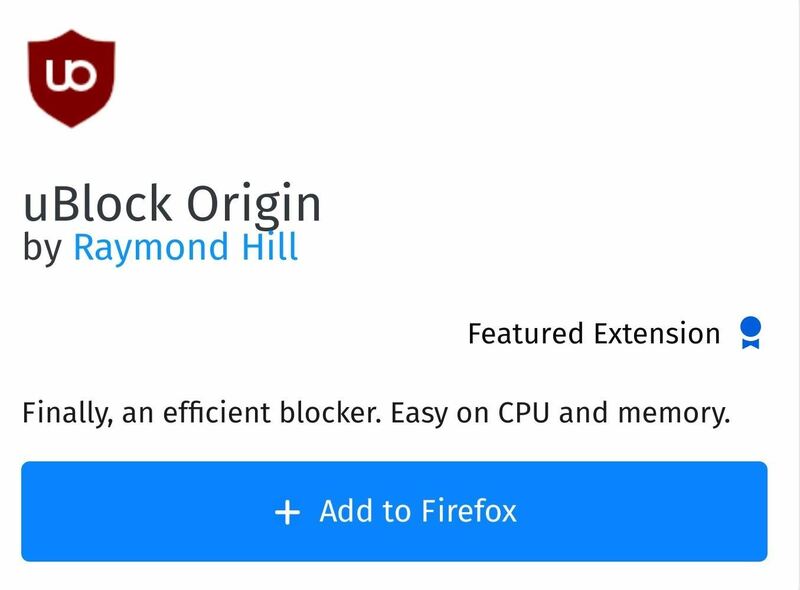 uBlock Origin is a free, open-source extension that has a robust ad-blocker, protects against trackers, and much more. The extensions utilize lists (which are constantly updated) to stop known trackers, cookies, and malware. You can add your own lists to uBlock Origin to increase the filtering ability depending on the level of privacy and security you need. And unlike many other ad-blockers, it is light on resources (including memory), and will therefore not severely impact performance with its use. Additionally, uBlock has a whitelist, allowing users to exempt certain websites from its protection. This feature is useful for websites that break due to its ad-blocking and tracking protection. With uBlock Origin's versatility, any privacy-conscious individual will benefit from its features. 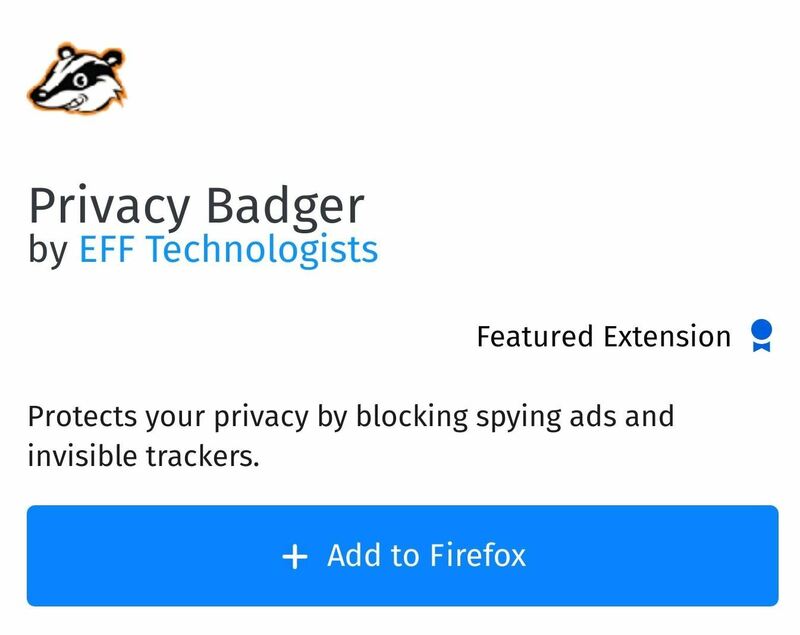 Another EFF product, Privacy Badger is also an ad-blocker that protects against trackers. However, instead of depending on a continuously updated list like uBlock Origin, Privacy Badger actively monitors the sites you visit, identifying the source for each line of code. If the extension believes the same source is tracking you, Privacy Badger will immediately block it. Privacy Badger is aware of the common methods to employ tracking such as cookies and fingerprinting (see below), and it looks for these tools within the embedded images and ads found on any webpage. While Privacy Badger's primary function isn't ad blocking, it is able to accomplish this using its anti-tracking tools. So while it won't block all ads, when used in conjunction with uBlock Origin, it should eliminate most advertisements. Browser fingerprinting is a technique used by advertisers to identify and track users across websites. Instead of relying on cookies, websites collect an abundance of seemingly innocent information that together can paint an identifiable picture of the user. For example, the website will gather the operating system and version, screen resolution, touch points, browser app, and more, which when collected together, starts to form a unique set of data. Using this data, advertisers can identify you across a multitude of websites, gain key insight into who you are and where your interests lie. With a more specific technique called canvas fingerprinting, the strength of the ID is greatly improved. Websites will send your browser a complex image to render. Your phone's specific combination of GPU, operating system, and browser will render the image differently than other devices would. The pixel values are then captured and hashed. This is then used to track you across the web. With the latest stable version (58), Firefox has included the ability to block websites from using canvas fingerprinting to identify users. Unfortunately, this will break some websites when implemented and is still a little buggy. Mozilla promises Firefox 59 will improve on this protection, but in the meantime, we recommend using CanvasBlocker instead. 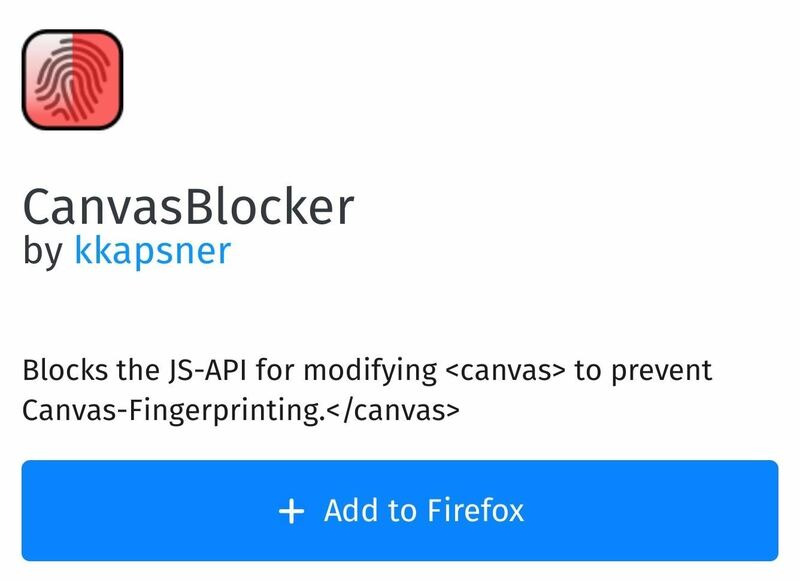 With CanvasBblocker, you can opt to block and spoof the API used to create the fingerprint. By default, CanvasBlocker will force the readout of the image to return a random value each time, preventing a unique value. 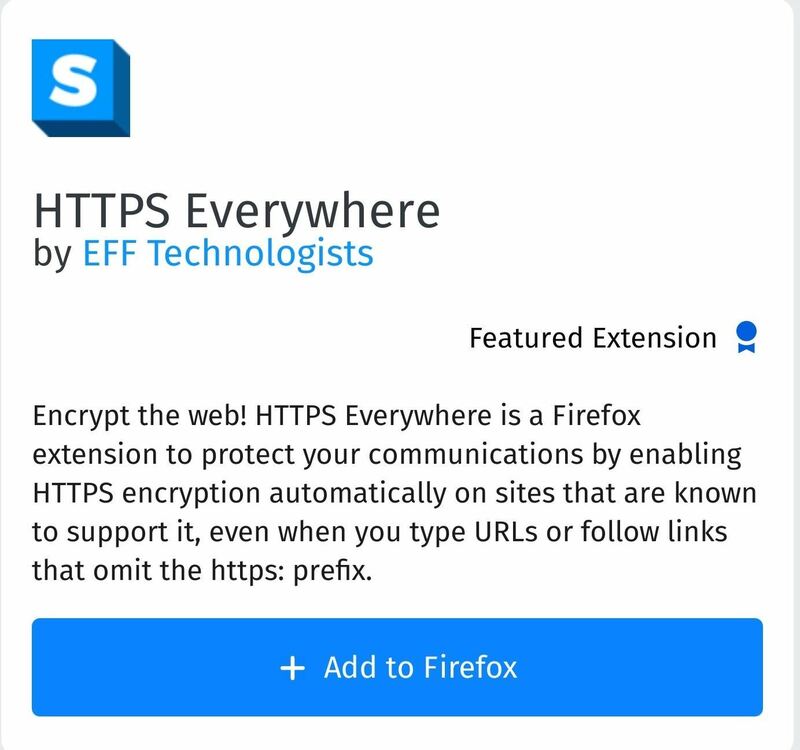 With these four extensions, you gain tools that further secure your browser. Since we use our browsers often, we should employ the maximum protection they offer. What are your thoughts on our recommendations? Do you have any other suggestions? Let us know in the comments below.